A watermark is a kind of mark or a symbol embedded in an object to identity its ownership or its authenticity. 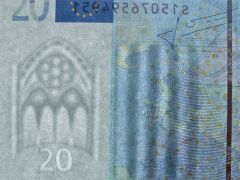 We see watermarks all the time – on the currency/bank notes, on the photos on the Internet, on bank checks and bond papers. A digital watermark is a visible or invisible marker or a signal in the digital medium such as an image, audio, video or a document. The visible watermarks are very much visible and are added on top of the image or video to proclaim the ownership of the object, show its source and copyright and also to discourage theft of the watermarked material. The invisible watermark is a covert signal embedded in the data to identity an object’s ownership in the event of a theft. 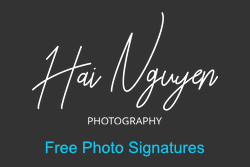 We are going to be talking about photo watermarks here and that too visible watermark on photos in the form of text and images such as logos or signatures of the owner of the photo.